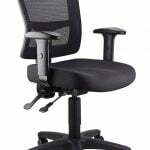 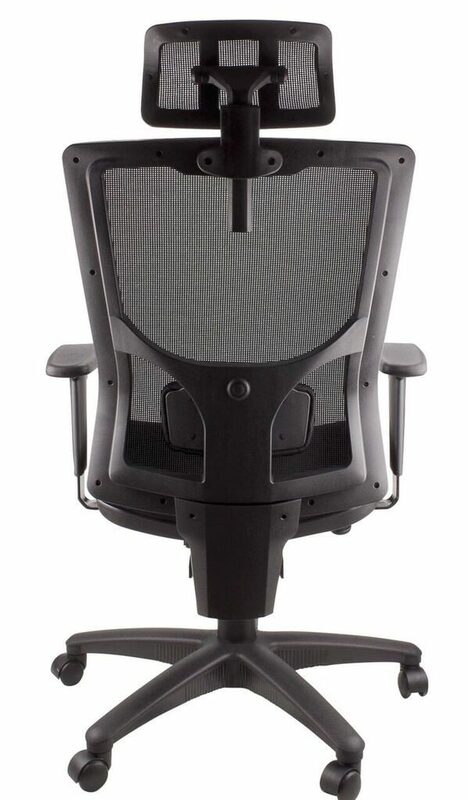 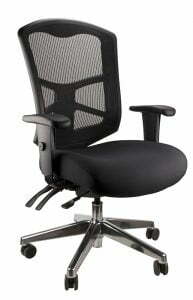 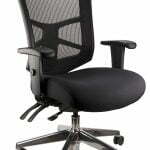 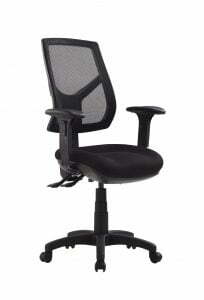 Mesh back, full ergonomic chair with fabric seat and adjustable lumbar support and arms rests. 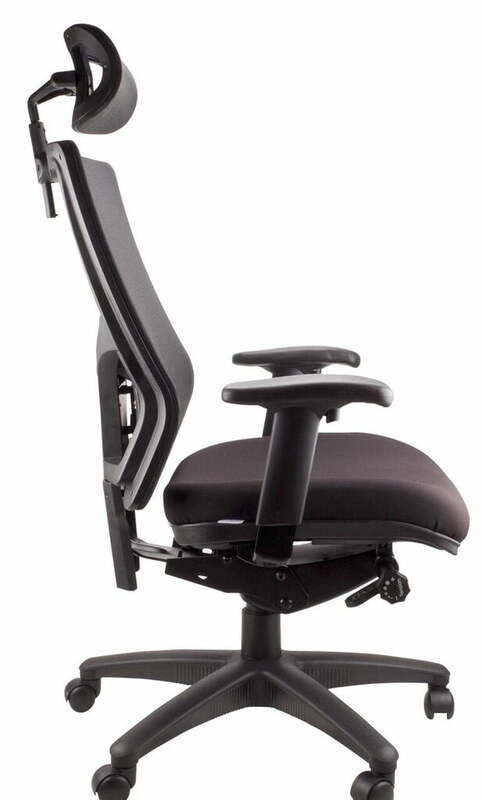 Ratchet back height adjustment. 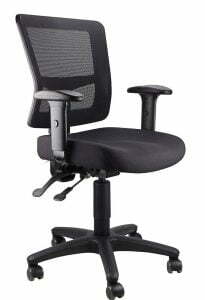 Multifunction mechanism and head rest. 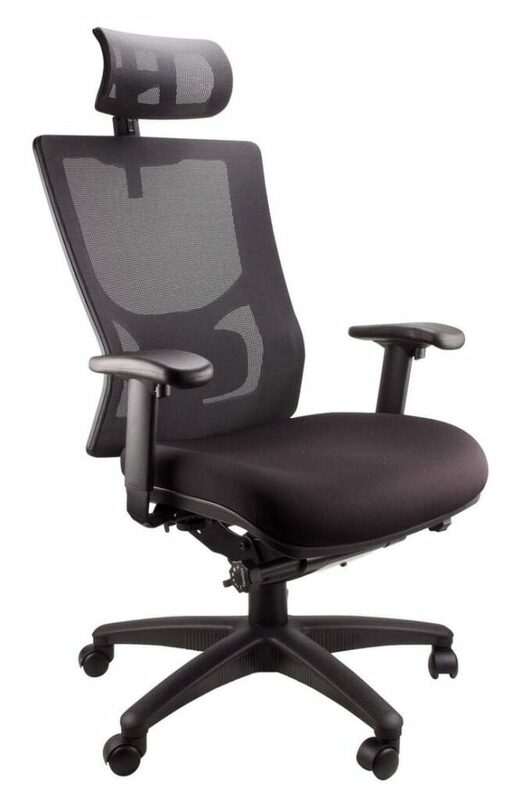 Includes seat slid feature. 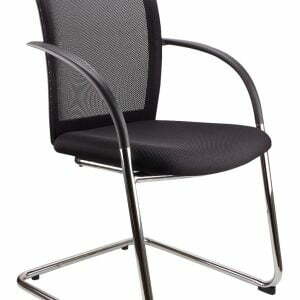 Colours available: Black seat with grey or black mesh black or Charcoal seats and charcoal mesh back.